We were pleased to host CLC (College of Lake County) Mechatronics students earlier this month who came to tour our two facilities. We walked students through both facilities and discussed how the mechatronics program equips them with the tools needed to be successful in the field of industrial automation. 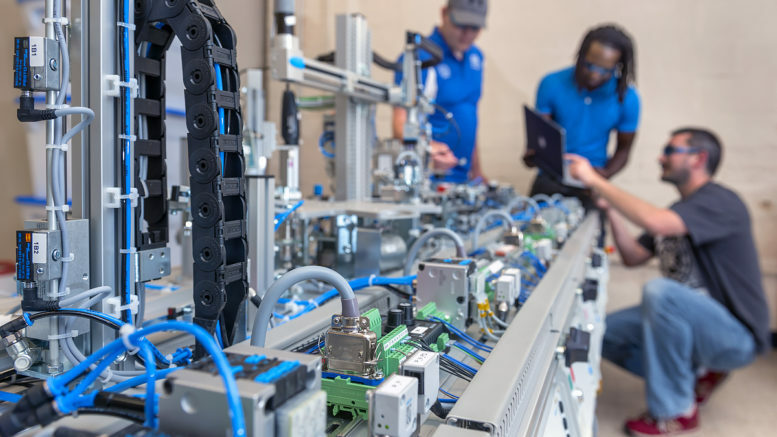 The mechatronics program prepares students for careers in automation, robotics, and mechatronics via hands-on training and a structured curriculum. We currently have two recent mechatronics grads working here at R+D and always look forward to meeting new candidates!